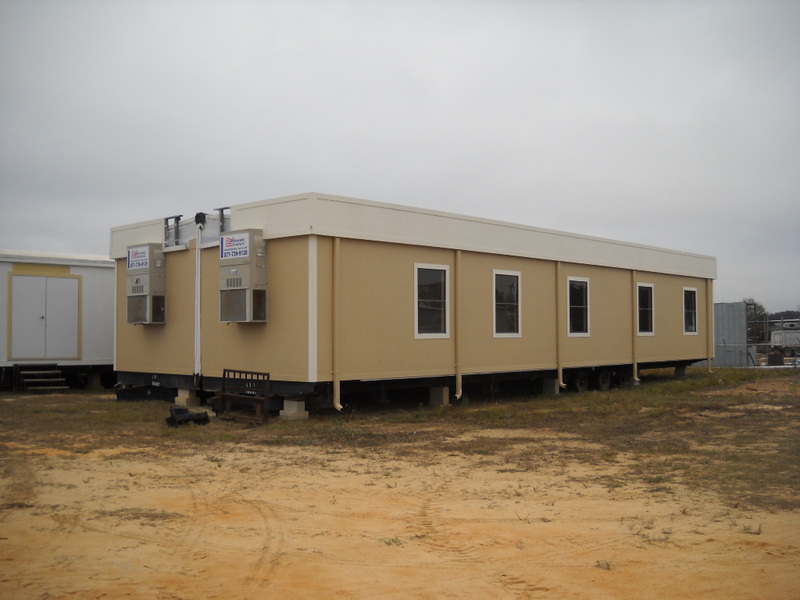 Portable office building #10067 is 61 feet long by 23 feet and 4 inches wide. 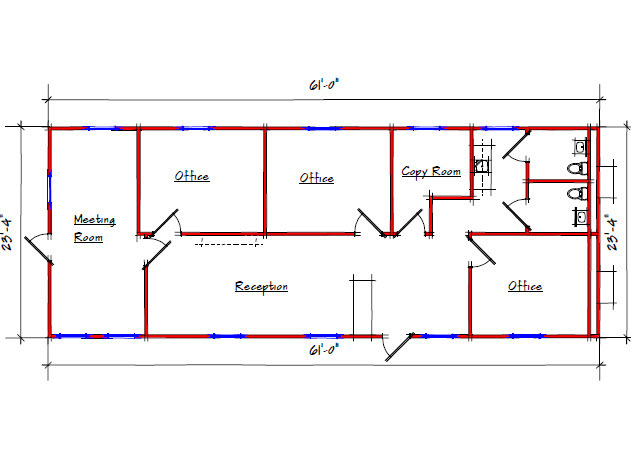 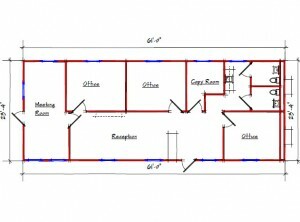 This modular office building for sale is 1,423 square feet and contains 5 office rooms and 2 restrooms. 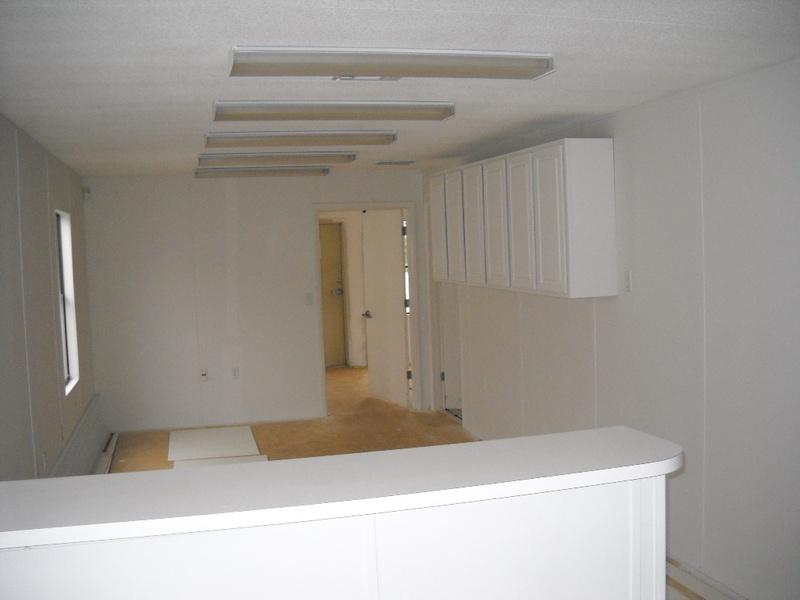 Meet the needs of your growing business today with a prefab office building.